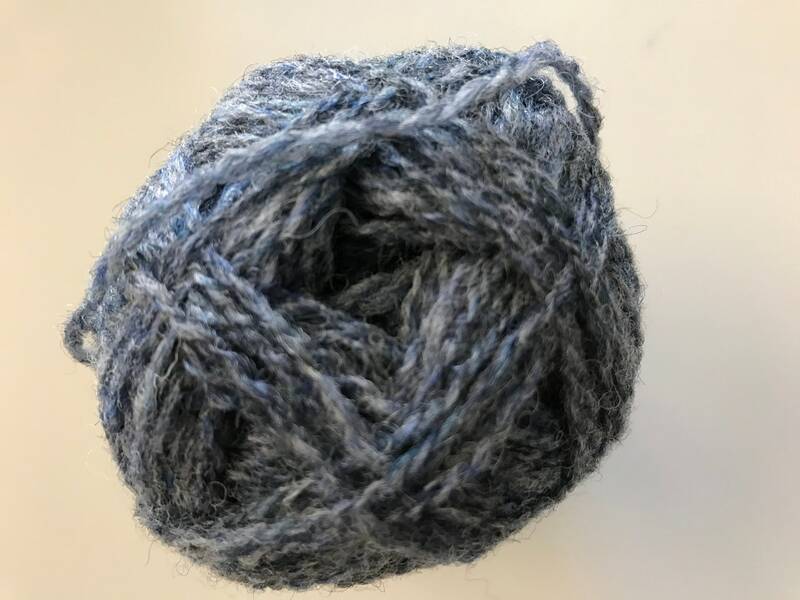 The yarn has been a favourite of mine for a number of years. 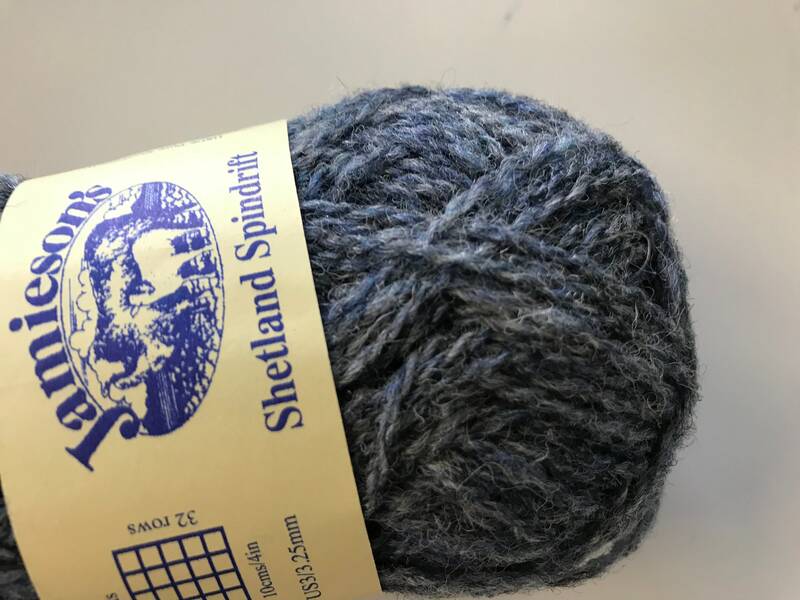 It has a huge heritage and is traditionally used for Fair Isle work. I have knitted tradional tam, mitts and garments. It is hard wearing and looks stunning. 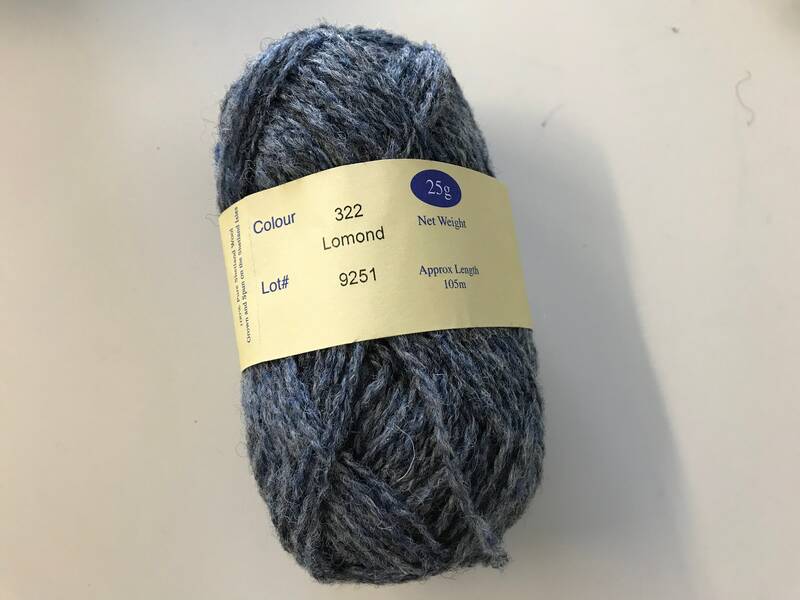 This colour is a steel blue grey and anyone who has been to Loch Lomond will recognise the colour. 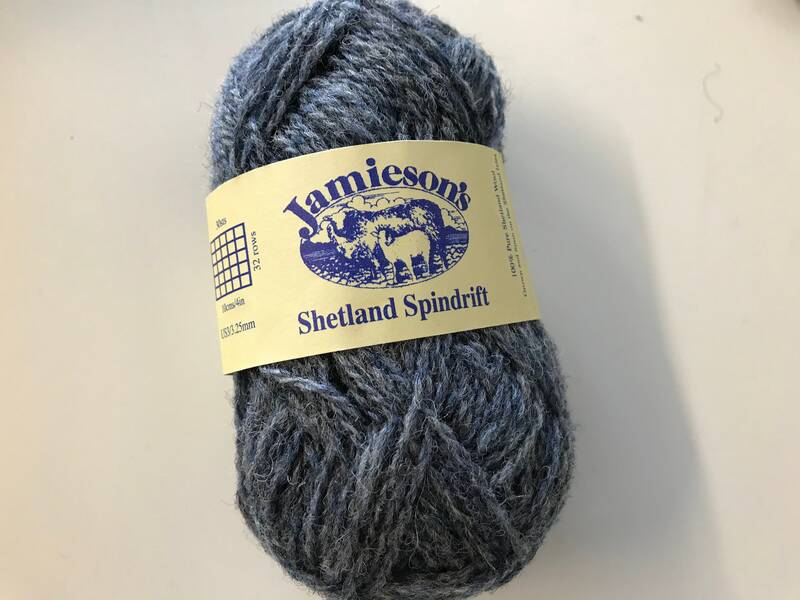 Spindrift yarn is 100% Shetland wool, grown, shorn and spun on the Shetland Islands.